The best performing Instagram posts appear in your feed alongside other trending stories. However, you can also create a filter that only shows Instagram posts. 1. Start by creating a New Filter. 2. Scroll all the way down in the filtering menu on the left hand side to Platforms. Select “only posted” for Instagram. 3. 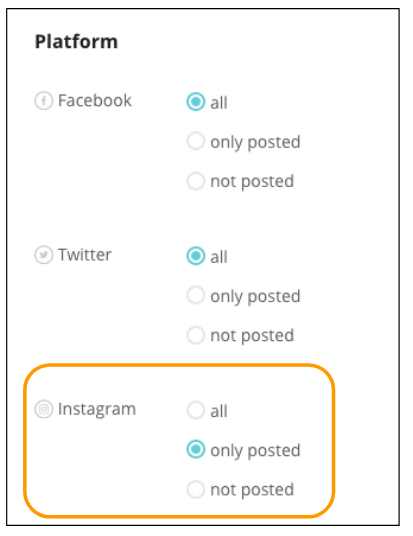 In the same filtering menu, select your Country to get the most relevant posts. 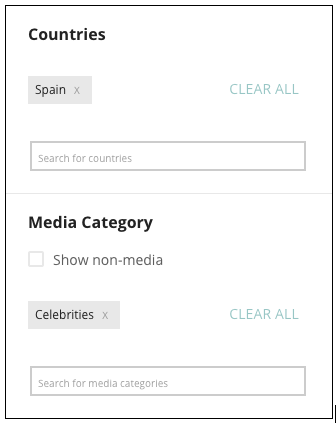 Optionally, pick Celebrities from Media Category if you only want to see their posts. 4. Timeline: we recommend selecting 12h - 1 day.